Whenever you begin a new army, there is always that first "color test" figure. Not only does this give you a better idea of how your color scheme vision plays out, but it can give you a hint of how long it might take to execute that plan. In this case, the color scheme was established long ago for my beloved Lord of the Rings Easterling army, which is about to be reborn! Unfortunately, I had to sell off my original army, and with the relaunch of the Lord of the Rings system, it seemed to be just the right time to bring them back to life! That first army was painted over 6 years ago, and I have learned many things since. Even the materials I use have changed dramatically. Now I have plastic minis for the most part, and I use the Reaper Clear and Liner paints, along with the Secret Weapon Miniatures weathering paints. Even my basing has changed, as the "bark and branch" method came about 3-4 years ago. Since I am creating the Army Painting video series for the Patreon Page, I thought it might be very useful for people to see the process of re-creating an army first hand. I have already gathered up images of the old army, and I have prepped a brand new batch of figures! As with the first two army painting series, this will start off with basing, and then move to the Shaded Basecoat and Glazing phases. I will even sneak in some freehand designs as well. I also try to include conversations about making the figures as 'playable' as possible, and the realities of time constraints. The "currency" of time is quite valuable, and there's usually only so much of it available for a given army. 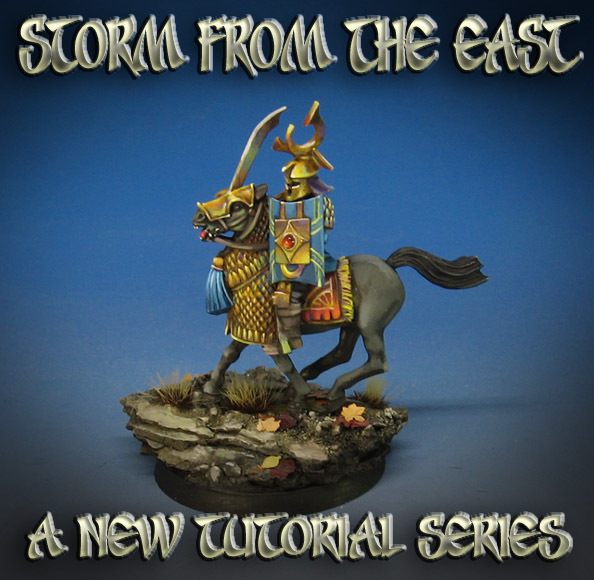 My goal is to help you maximize that currency, and make your armies look as good as possible. Unlike the first two series that focused on infantry, this will be a mix of cavalry and infantry. Part of this has to do with the nature of the LOTR game system, which is part of that conversation I mentioned earlier. You can get caught up on those first two series, and be ready for the third installment... with even more interesting goodies yet to come! I will be recreating my Army of the Dead and Galadhrim elf armies in future series.